A beautiful Irish Made Claddagh Ring. The Heart symbolises Love, the Hands are for Friendship and the Crown is for Loyalty. Made with care in Ireland and Hallmarked by the Assay Office in Dublin Castle. Shipped Worldwide at no extra cost! 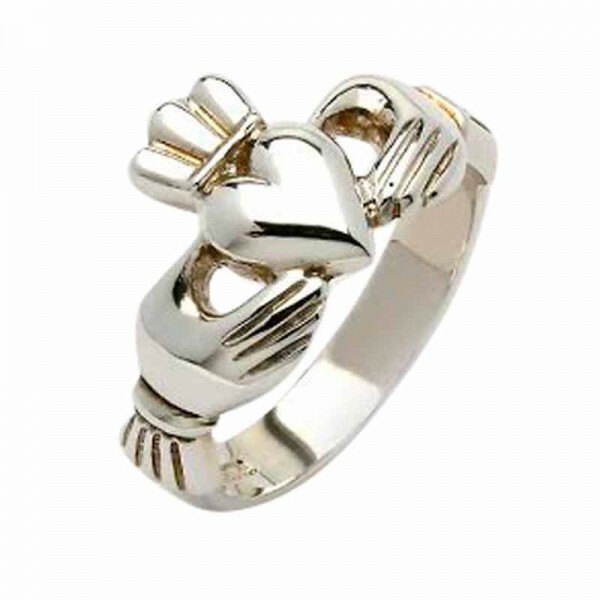 A beautiful Irish Made Claddagh Ring.The Heart symbolises Love, the Hands are for Friendship and the.. This is a beautiful Claddagh Ring made from 14 Karat White Gold - the beautiful Diamond embedded in .. This is a beautiful Claddagh Ring made from 14 Karat Gold. It has the classic features of Heart, .. This is a beautiful Claddagh Band Ring made from Two Tone Yellow and White 14 Karat or 18 Kar..